How can you hate a caterpillar and love a butterfly? Some gardeners so love their passionflower vine (Passiflora) that they squirm at the thought of a caterpillar munching it down to nothing. But that's what caterpillars do. The Gulf Fritillary butterfly (Agraulis vanillae) lays its eggs on its host plant, the passionflower vine, the eggs develop into larvae or caterpillars, and the caterpillars into Gulf Frits. Our passionflower vine--which we planted specifically for the Gulf Frits--is now a skeleton. 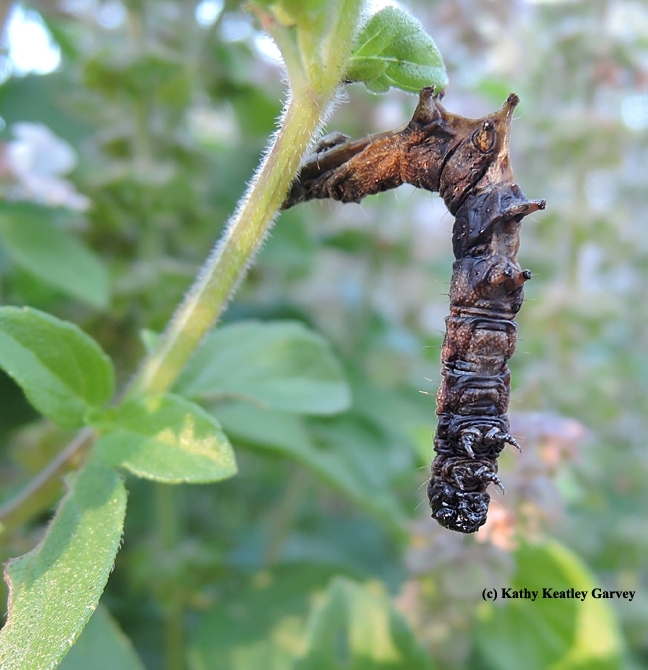 The caterpillars ate all the leaves, the flowers and the stems. What was once a flourishing green plant looks like a criss-cross of brown sticks. Comedian George Carlin supposedly said "The caterpillar does all the work but the butterfly gets all the publicity." And architect-author-designer-inventor Richard Buckminster Fuller observed: "There is nothing in a caterpillar that tells you it's going to be a butterfly." He's but a caterpillar, at rest." So, it is. 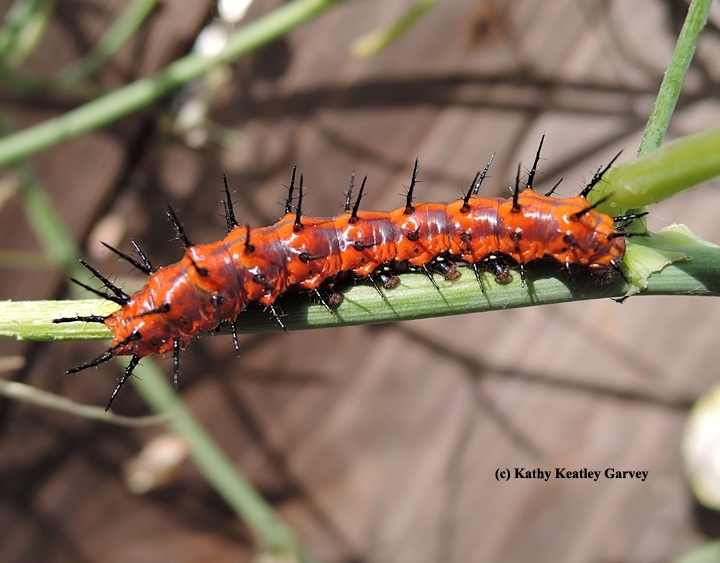 Take a look at the Gulf Frit caterpillar and then check out the Gulf Frit butterfly. 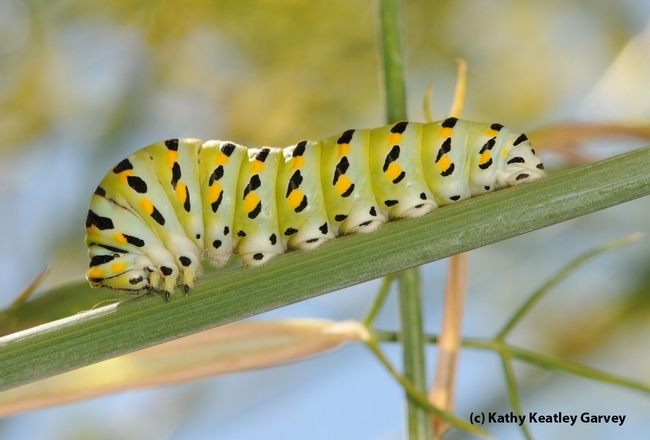 Yes, a hungry caterpillar turned into a magnificent butterfly. How can you hate a caterpillar? It's a case of a sticky situation benefitting a plant. 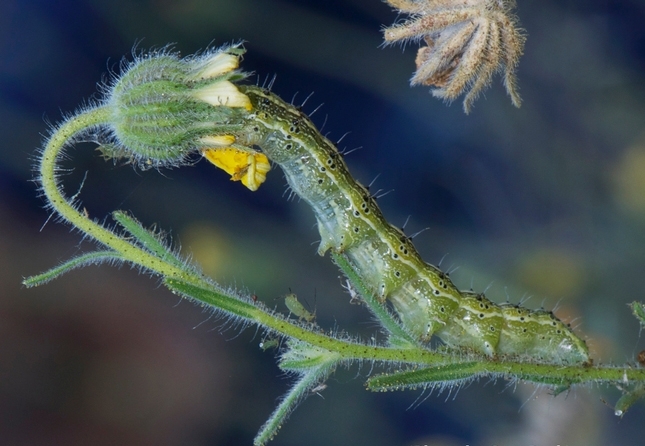 Or more precisely, dead fruit flies or carrion on a tarweed plant can benefit the plant in more ways that most people would ever think about, say researchers in the UC Davis Department of Entomology. Just as human tourists can be good for the economy, ‘insect tourists” can be good for a plant. 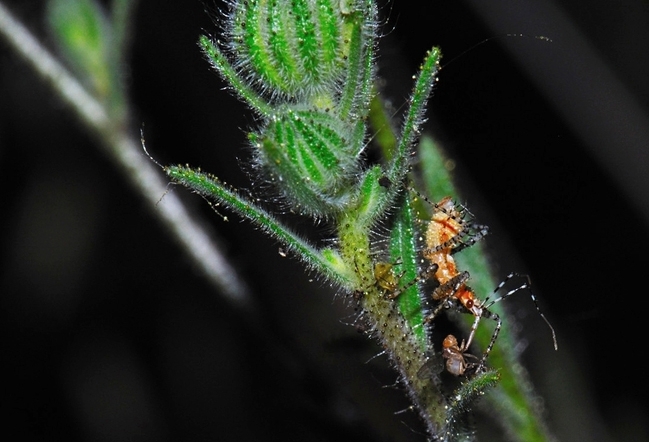 When the hairs of a “sticky plant” trap small insects or “insect tourists,” the “tourist trap” provides food for other predators, thus becoming a defensive mechanism that spares the plant from increased herbivore damage. Other beneficial results include greater plant fitness and increased fruit production. Later the journal Nature focused on the Krimmel-Pearse research in its ecology section: "When Plants Run the Food Chain." Krimmel and Pearse conducted their research in the Stebbens Cold Canyon Reserve, a UC Davis Nature Reserve located in Solano County, near the outlet of Lake Berryessa. Their sticky plant was tarweed (Madia elegans), an annual flowering California native plant in the family Asteraceae. It generally flowers in mid to late summer, from approximately June through September. Jay Rosenheim's USDA research grant helped fund the project. Krimmel received two other grants: a National Science Foundation/Graduate Research Fellowship and a Jastro-Shields Research Scholarship. Pity the poor caterpillar. Here you are, minding your own business, and this tachinid fly comes along and lays eggs in your head. Good day for the tachinid fly. Bad day for the caterpillar. 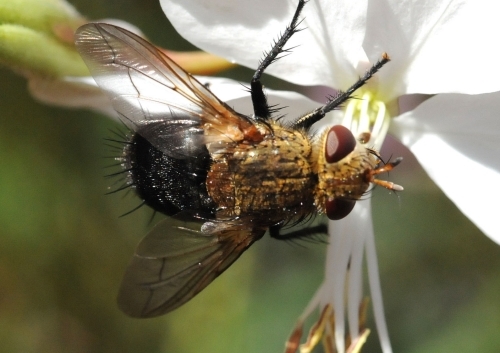 The tachinid fly, from the family Tachinidae, is frequently seen buzzing around flowers, like this one (below) in the Storer Gardens at the UC Davis Arboretum. 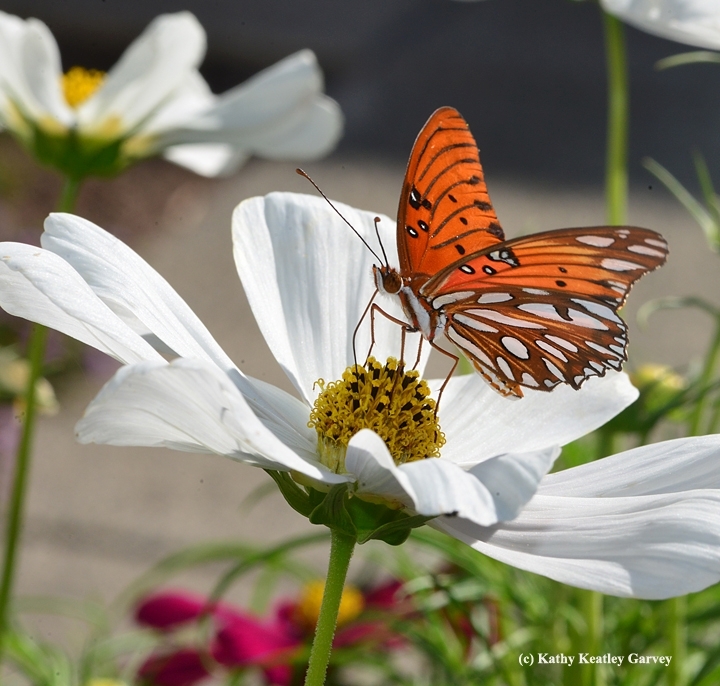 The adults feed on nectar. "They're parasites," said Lynn Kimsey, chair of the Department of Entomology and director of the Bohart Museum of Entomology. 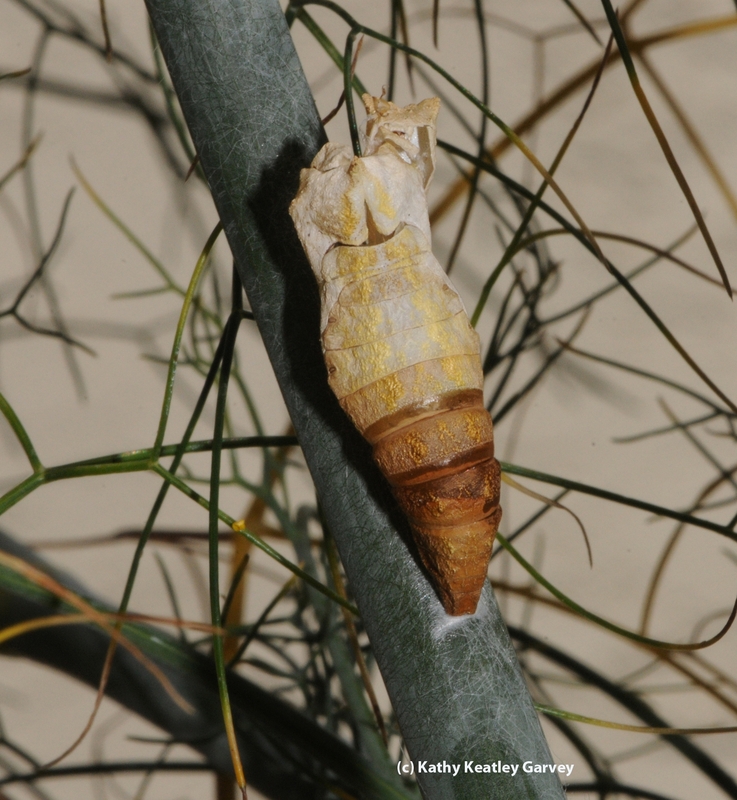 "They often parasitize Lepidoptera caterpillars by laying eggs in them." They also lay their minute eggs on plants, which caterpillars ingest. The eggs hatch inside the caterpillar, killing it. 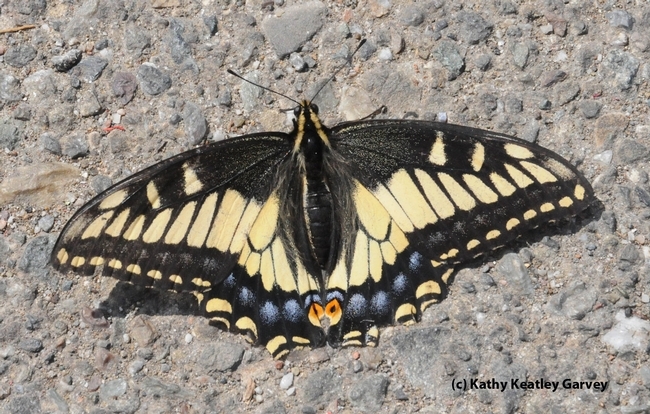 "Inside the victims, the larvae breathe free air by perforating the body wall of the host or by a connection to its tracheal system," write Jerry Powell and Charles Hogue in their book, California Insects. It is not a pretty sight. But then again, tachinid flies aren't pretty--unless you're another tachinid fly.